When in Zanzibar City, make a side trip to see Scuba & Snorkeling in Nungwi, approximately 1h 20 min away. There's much more to do: tour the pleasant surroundings at Cheetah's Rock, kick back and relax at Nakupenda Beach, admire the striking features of House of Wonders (Beit-el-Ajaib), and head off the coast to Prison Island - Changuu Private Island. Ask Inspirock to suggest an itinerary and make planning a trip to Zanzibar City fast, fun, and easy. Brussels, Belgium to Zanzibar City is an approximately 14-hour flight. You can also do a combination of train and flight; or do a combination of flight and ferry. The time zone difference when traveling from Brussels to Zanzibar City is 2 hours. Plan for warmer temperatures traveling from Brussels in October, with highs in Zanzibar City at 36°C and lows at 26°C. Cap off your sightseeing on the 18th (Fri) early enough to travel to Maasai Mara National Reserve. Spend the 19th (Sat) surrounded by wildlife at Olare Orok Conservancy. 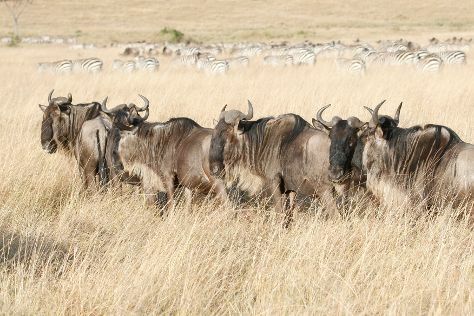 Spend the 21st (Mon) surrounded by wildlife at Mara Triangle. The adventure continues: identify plant and animal life at Ol Kinyei Conservancy, see exotic creatures in open habitats at a safari tour, and stroll through Musiara Swamp. To see traveler tips, more things to do, ratings, and other tourist information, read Maasai Mara National Reserve trip maker site . Traveling by flight from Zanzibar City to Maasai Mara National Reserve takes 4.5 hours. Alternatively, you can do a combination of flight and car. Prepare for cooler weather when traveling from Zanzibar City in October: high temperatures in Maasai Mara National Reserve hover around 20°C and lows are around 10°C. Finish up your sightseeing early on the 22nd (Tue) so you can travel to Serengeti National Park. Spend the 23rd (Wed) exploring nature at Serengeti National Park. Spend the 24th (Thu) exploring nature at Seronera. The adventure continues: stroll through Serengeti Hippo Pool and soar above the sights with a balloon tour. To find where to stay, maps, other places to visit, and other tourist information, you can read our Serengeti National Park trip planner . Drive from Maasai Mara National Reserve to Serengeti National Park in 3.5 hours. In October in Serengeti National Park, expect temperatures between 20°C during the day and 10°C at night. Finish up your sightseeing early on the 25th (Fri) so you can go by car to Ngorongoro Conservation Area. 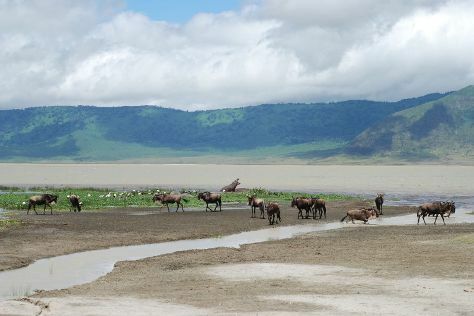 Kick off your visit on the 26th (Sat): explore the striking landscape at Ngorongoro Crater. To find ratings, maps, reviews, and tourist information, read our Ngorongoro Conservation Area vacation builder website . Getting from Serengeti National Park to Ngorongoro Conservation Area by car takes about 4 hours. Finish your sightseeing early on the 26th (Sat) so you can drive to Tarangire National Park. Kick off your visit on the 27th (Sun): stroll through Tarangire National Park. 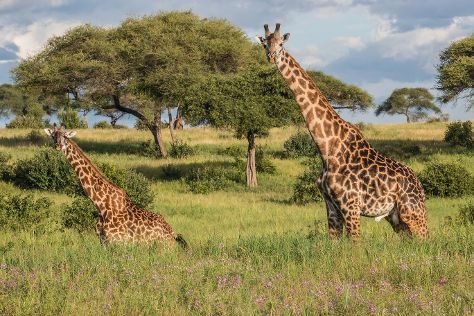 To find more things to do, traveler tips, other places to visit, and tourist information, read Tarangire National Park trip planner . You can drive from Ngorongoro Conservation Area to Tarangire National Park in 5 hours. In October in Tarangire National Park, expect temperatures between 30°C during the day and 19°C at night. Wrap up your sightseeing on the 27th (Sun) early enough to fly to Kilimanjaro National Park. 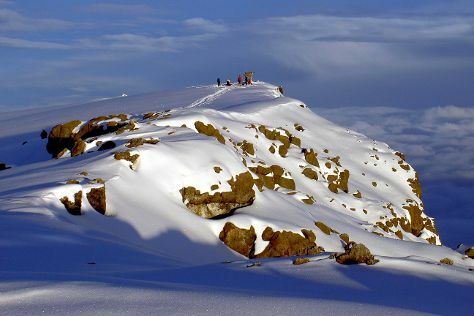 On the 28th (Mon), take your sightseeing to a higher altitude at Mount Kilimanjaro. To find more things to do, maps, other places to visit, and more tourist information, read Kilimanjaro National Park trip itinerary planning tool . You can fly from Tarangire National Park to Kilimanjaro National Park in 2.5 hours. Alternatively, you can do a combination of taxi and bus. Cap off your sightseeing on the 28th (Mon) early enough to travel to Arusha. Start off your visit on the 29th (Tue): shake up your sightseeing with a climbing tour. Quickly create a custom-made itinerary for Arusha using our trip planner. You can fly from Kilimanjaro National Park to Arusha in 1.5 hours. Another option is to take a bus. In October in Arusha, expect temperatures between 30°C during the day and 19°C at night. Wrap up your sightseeing by early afternoon on the 30th (Wed) to allow time for travel back home.